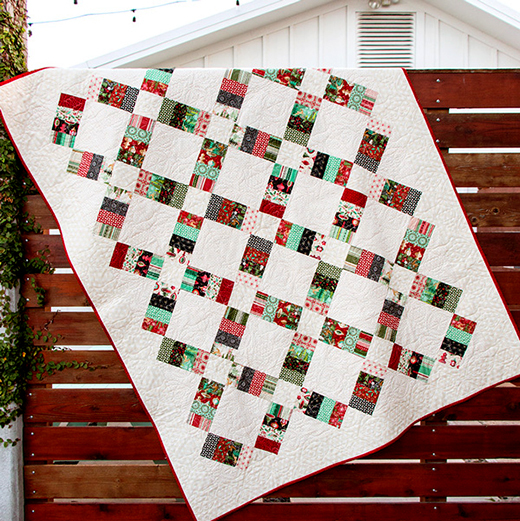 Jelly Roll Railway Quilt Kit Featuring Berry Merry by BasicGrey. Holiday rails. Quilt kit includes the Jelly Roll Railway Quilt Pattern and Berry Merry fabric for the 61.5" x 78.5" quilt top and binding. Affiliate link. If you make a purchase I may receive a commission. This does not effect your pricing. This Jelly Roll Railway Quilt Designed by Fat Quarter Shop, The Pattern is available for free.